with all the fame and glory. making her life... a story. no one has ever learned. And it's time to confront reality. Now behold... her real identity. Cast the first stone to her, if you're not a sinner. but embracing the truth makes her feel happier. but time will come and wounds will be healed. but being open is better than concealed. who won the hearts of the world. her true self has found and that's what matters now. Love the Honesty and Courage!!! YES! 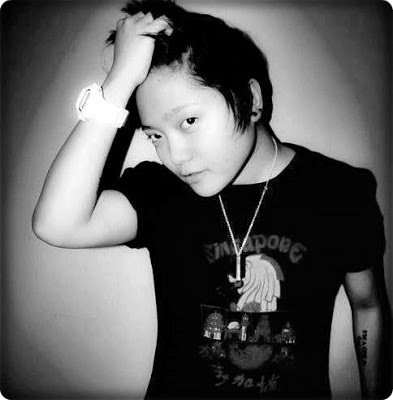 Charice's coming out in the open has several implications because of her celebrity status. Now that the most difficult part is done and over with, maybe she can go on with her life as a singer since her beautiful voice is still there. I have nothing against her new look if that is the way she wants it but she should know that she can revert back to her previous look while still being true to her nature. I'm just thinking in the line of showbiz where she may need to play varying "roles" in her singing career which may not always fit with her present look. I dare not judge beyond that. I do agree with Ma'am Teresa showbiz-wise but I admire Charize's courage of coming out in the open. Nice poem in the first place. I hate to say this.. but rumors of her gender filled Pinoy showbiz community months pa before she makde a public admission na "tomboy ako". Best siguro na noon pa nya inamin. Nevertheless, she is a courageous lady. Oh grabe talaga, a lot of people were really surprised but anyway at least she is out in the open. such a lovely poem, hope she can read this poem! :) I admired her for coming out, its not easy for her being in showbiz but great now is that she can be herself anytime, anyday, anywhere! I wish her the best. I don't like her neither do I hate her. Whatever she has chosen, I am happy for her :) May she find happiness!